At Lowcountry Kitchen & Bath, we believe it is our responsibility to you to help you turn your interior design visions into reality. 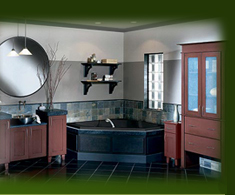 Whether you're a homeowner, a contractor or a business owner, we are able to design and install your ideal bathroom or kitchen. After all, we've been providing excellent, quality service in our area since 1969, to people just like you! 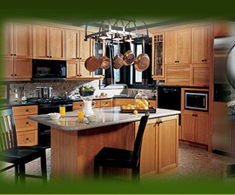 The kitchen and bath designs you see throughout our site are typical of what you can expect from us. While the photos here are beautiful, we encourage you to visit our showroom to experience - in person - our complete line of cabinetry, counter tops, plumbing fixtures, spas and hot tubs, and many, many other features that help make your kitchen and/or bathroom luxurious and comfortable. To learn more, contact us today!